Mrs. Tammy Frye was born and raised in Huntington, West Virginia. After graduating with a B.S. in Bible and Teacher Education from Kentucky Christian College (now Kentucky Christian University), she worked various jobs while looking for a teaching position. In the fall of 1997 she came to MVCA as the Kindergarten teacher with the desire to move down the hill to become the first certified Secondary Science Teacher. After teaching Science for six years, she married her Air Force husband, Mike, and moved to Germany. While in Germany she received her M.A.Ed. in Curriculum and Instruction from the University of Phoenix and had their daughter, Maryanne. In 2008 the Air Force moved the Fryes to Hampton, VA where Mike retired in 2011. Tammy has added to her teaching experience by homeschooling their daughter from Kindergarten – Fourth Grade. She is excited to be back as the Secondary Science Teacher and have their daughter begin fifth Grade at MVCA. She enjoys spending time with her family and being involved in a variety of areas at the Church of Christ at Mountain View. 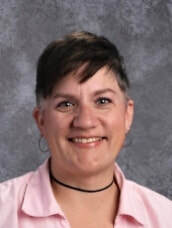 As a teacher with 15 years of experience, Tessa Rexrode has taught at Mountain View Christian Academy, Central Christian College of the Bible in Moberly, MO, Tri-County Christian School in Macon, MO, and at Luzerne County Community College. She holds a Bachelor of Arts in Biblical Studies from Eastern Christian College, a Master’s level certification in General Ministry from Hope International University, and a Master of Arts in TESOL (Teaching English to Speakers of Other Languages) from Lincoln Christian University. Tessa has been married to her college sweetheart (Richard) for 30 fabulous years, and they have two wonderful daughters. Annie and her husband (Brock) are in ministry together and live in Illinois with Johnny (their adorable son). Laura lives and works in the Balkan region of Europe. When Tessa is not teaching, she can be found spending time with family, traveling, reveling in the outdoors, riding a motorcycle with her husband, or enjoying a cup of STRONG coffee. Mr. Michael Harbin was born and raised in Dandridge, Tennessee. After becoming a Christian at the age of 19, he attended Johnson Bible College in Knoxville (now Johnson University), graduating with a B.S. in Bible with an emphasis in missions. After working as a manager of a video game store and with a student loan financing company, Mr. Harbin entered the ministry full-time as the youth minister of a church in Indiana, where he continued his education, graduating with his M.A. in Pastoral Counseling from Liberty University. Three years later, he and his wife accepted positions with Mountain View Christian Academy. Michael teaches Secondary Bible and Physical Education. He is also the varsity boys basketball coach and girls soccer coach. He lives with his wife and daughter, a student at MVCA, here in Winchester. Mrs. Dawn Higgins, a Winchester native, graduated from James Wood High School in 1989. She attended George Mason University immediately after high school. She completed her B.S. in Interdisciplinary Studies at Western Governors University in the fall of 2011. Her love for the Lord and desire to be close to her family brought her to MVCA in 2002. She loves the variety brought to her day by teaching students on different levels. She and her husband, Les, married in 1996 and have three children - Helena, Sophia, and Charles. In the fall of 2008, they became foster parents. It is their long term goal to own a farm where they can raise and offer support to many foster children. She loves being able to teach at MVCA, where her own children attend and where she can teach students about the Lord. When not at MVCA, Dawn loves to crochet and watch movies. 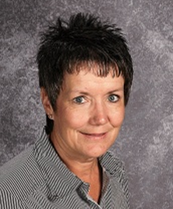 Mrs. Trudy Keiter, a graduate of Shepherd College, is beginning her 21st year at MVCA. She came to school with her oldest son as a proctor for the video school, returned to college to complete her education, and has been at Mountain View ever since. She has run three half-marathons and one marathon and is the assistant cross country coach. She plays the piano in the praise band at the Church of Christ at Mountain View and directs the adult choir. She has been married to her husband Wayne for 37 years. He is an elder at the Church of Christ at Mountain View and a member of the school leadership team. They have two sons (Joshua and Caleb), two daughters-in-law (Kara and Carrie), and five grandchildren (Gwenyth, Will, Mavis, Hisely, and Harper) and another one on the way. Trudy also loves to exercise and completed her first marathon (with God's help) at the age of 55! Mrs. Joy Presley, originally from Tazewell, Virginia, lives in Maurertown, Virginia with her husband, Ed, her two sons, and her two dogs. A 2007 graduate of James Madison University with a B.A. 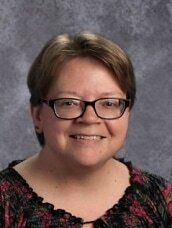 in History, Joy has taught 4th and 5th grade at MVCA and currently teaches secondary history classes. Her son, Kallin, graduated from MVCA in 2016; her other son, Jakob, attends high school at MVCA. Mr. Drake Westfall is a Winchester, Virginia native. He and his wife, Amanda, are the parents to two sons and one daughter. Drake calls himself a student of the Bible, first, and a teacher of the Bible, second. He bases his teaching on 2 Timothy 2:2. Miss Cooke, born and raised in Riverside, California is in her 11th year teaching at MVCA. She graduated from Cincinnati Bible College and Seminary (now Cincinnati Christian University) in 2000 with a B.A. in Biblical Studies with an emphasis in Youth Ministry. She has ministered with congregations in OH, GA, and WA, switched to teaching at MVCA in 2007 and has been here ever since! She has recently moved her mother from CA to live with her here. Although she taught Second Grade for ten years, she has moved to the computer lab, library, and health this year, so now sees everyone from K-10th grade!